On Friday 8th June, CEPI’s President Luc Machon attended the XIII ANACI Congress held in Bari, Italy. 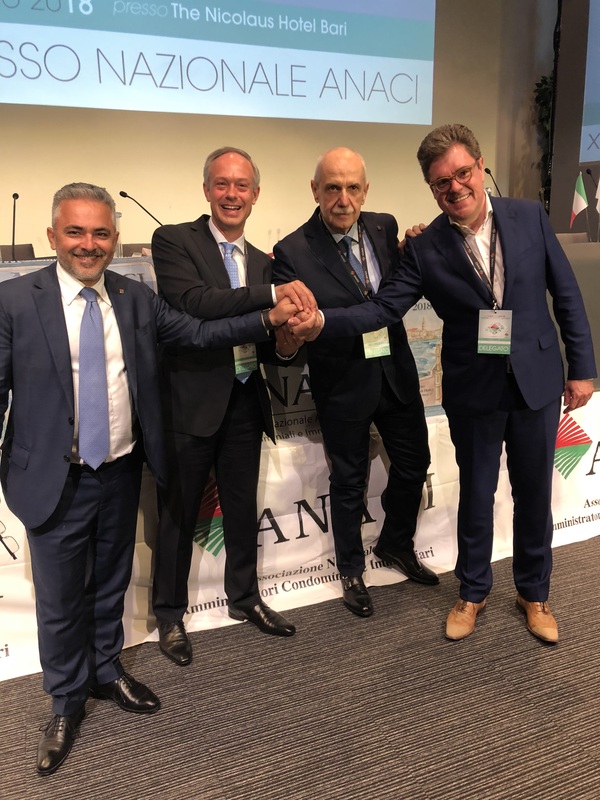 Over 330 property managers from all over Italy attended the three-day event, which was also the occasion of the ANACI general elections resulting in the re-election of Mr Francesco Burrelli as ANACI National President for another four-year mandate. During the Congress the topics discussed included the importance of being part of the CEPI European family, as well as the important role of education – also from a European perspective. More information about ANACI and its XIII Congress is available at www.anaci.it.